Perfect for school and sports portrait photographers, the Rock Solid Tripod Cross Bar and Tether Table Aero combine to create an ideal setup that lets you mount your tethered workstation on the same solid support as your camera. 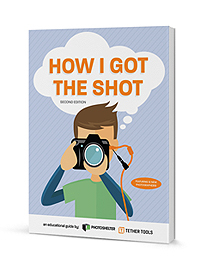 When it comes to school and sports photography, shooting tethered is quickly becoming the norm. The ability to view the images displayed live on a large computer screen means that you can visibly see how the shot is looking without having to squint at the small LCD screen on the back of your camera. While your student may be stationary now, that can change quickly. 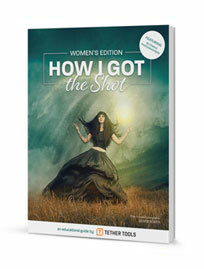 Time is money, light can change quickly, and your workflow must be quick and efficient. 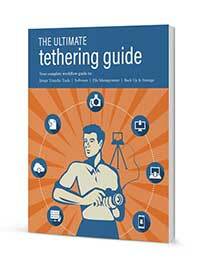 Make sure you get the shot right the first time by shooting tethered. 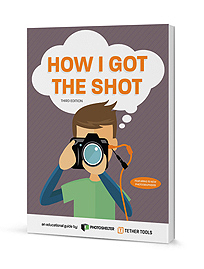 In addition to the benefit of viewing images on a large screen you can also back up your images instantly or add presets to your images as you capture them. Space is often limited when shooting, and the Rock Solid Tripod Cross Bar lets you mount your Tether Table Aero on the same solid support as your camera to build a custom, ideal workstation that meets your specific needs. The Cross Bar mounts securely to a tripod center column 3/8” thread, but can also be mounted to a lightstand using a Rock Solid Baby Ballhead Adapter (sold separately). The versatile Rock Solid Tripod Cross Bar features 4 – 3/8″ threads that allow flexibility in mounting a variety of gear including single or multiple cameras, Tether Tables, iPads, tablets, other arms or accessories. The possibilities are endless! 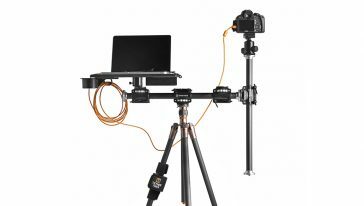 Mount your laptop and camera within arms reach for a quick and repeatable shooting session.